You’re here reading up what you can about hypoallergenic dog food probably because you’ve got a little pooch that constantly suffers allergies. We’re pretty sure that must be really uncomfortable to watch. And it gets even worse when you consider the fact that dogs can’t communicate their feelings as easily as we humans can. So, many times, dogs have to suffer through a lot of painful symptoms before their owners finally identify the cause. Even though the term “food allergies” is commonly tossed about in the dog care space, you’ll be shocked at the truth of the situation. Food allergies in dogs are actually not as common as you think. In fact, experts say that food allergies in dogs are rare situations. Some say it’s about a 10% frequency. So, you see? It’s not that common. However, that’s not to say that when they do occur they aren’t to be taken seriously. If you want to keep your pup as comfortable as possible as they deal with their allergy issues, then you’ll need to learn a few things about allergies. You must get familiar with what makes for the best hypoallergenic dog food. And that’s what we’re all about today. We have prepared an exhaustive article on every single thing you need to know about hypoallergenic dog food and food allergies in dogs. In this article, we will show you the different types of allergies that bedevil pups, along with their causes and symptoms. And, of course, we will also show you the best way to feed any pup with allergies too. Yeah, it’s going to be a truly long but fulfilling ride. So, buckle down because this flight is about to take off. You see, it’s just like in humans. When the immune system of your dog begins to see everyday stuff as a threat, aka allergen, then an immune response results. This response then presents itself in observable symptoms which we have come to recognize and refer to as allergies. Oftentimes, dogs catch these allergens either by ingesting them, or having contact with them. As the body of your dog tries to eject the allergen, several things could occur. Symptoms would usually present themselves as dermatological (skin), respiratory, or digestive symptoms. This is as explained by the American Society for the Prevention of Cruelty to Animals (ASPCA). Paraphrased, of course. According to pets.webmd.com, there are certain dog breeds that are more susceptible to allergies than others. They include Terriers, Retrievers, Setters, as well as breeds with a characteristic flat face like Bulldogs, Pugs, and Boston Terriers. Fleas (a few bites can cause extreme itching for several weeks). And, of course, food, which is where we are focused today. To completely explain this with the most accurate information possible, we will be gleaning from the interview of a holistic pet care expert on pets.webmd.com. Susan Wynn was a one-time president of the American Holistic Veterinary Medical Association. Plus, she is also a clinical resident at the University of Tennessee College of Veterinary Medicine (nutrition). Now, let’s find out the truth about food allergies in dogs. Food allergies in dogs are quite rare, constituting only about 10% of the total number of allergy cases reported. They can be brought on by a number of different kinds of food. But it’s been discovered that protein foods are the greatest triggers. In fact, to narrow it down to one major culprit, all fingers point to one thing – meat! Apparently, the problem arises due to the inability of the dog to break down the protein properly. And then the allergy occurs. As you can see, more than half the list is occupied by one form of meat or another. And nearly all items on the list are high protein foods. 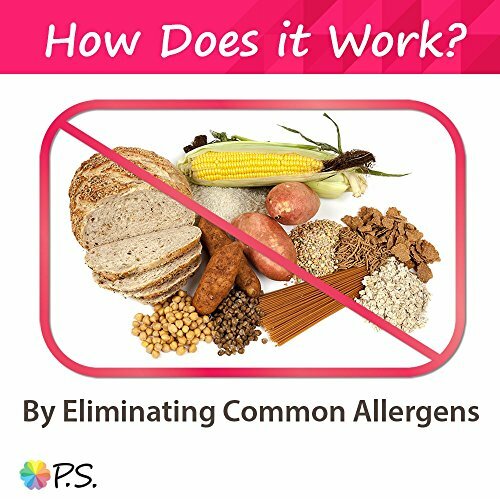 To be clear, the cause of food allergies is quite different from the triggers. When we talk about the cause, we are asking why the dog’s immune system is irritated by the triggers in the first place. Well, according to Wynn, there are multiple factors that could contribute to a dog having allergy issues. However, high up on the list is genetic predisposition. That means that papa and mama dog can pass on the trait to their pups. So if you have a dog who’s dealing with allergies right now, chances are that some of their puppies would also experience same. Another contributing factor to the development of allergies includes the environment. Though studies are still ongoing to find out why exactly animals express such traits, one thing has been observed. In young animals that have been exposed to antibiotics early in life there seems to be higher chances of developing allergies later in life. This is probably because the antibiotics alter the normal environment of the gut. This then predisposes such animal to allergic reactions in future. By the way, the stomach is the largest of all immune organs in the body. So, you see how that can be present a major problem. What are the Symptoms of Food Allergy in Dogs? How Do I Test for Food Allergy in my Dog? Available in markets today are many brands of commercial blood and skin allergy test kits. Some veterinary doctors might begin from there. The most surefire approach, though, remains the elimination method. Again, we learn from Dr. Susan Wynn. So, the process usually begins with discontinuing every food that your dog is currently on. After that, your vet will attempt to reintroduce new food to your pup. By “new”, we mean food that your dog has never eaten before. As improvements are observed, old foods are then slowly reintroduced to his diet. And then, we wait. If a reaction develops within a few days to weeks, then it’s a food allergy for sure. We’ve learned so much about food allergies so far. However, here’s one silly mistake most people make. In a food allergy, the immune system recognizes a harmless ingredient as a problem. It then fights that ingredient by developing antibodies which causes the reactions. In a case of food intolerance, on the other hand, the situation is different. It’s more of a digestive problem and has nothing to do with the immune system. So, in this case, the gut finds it difficult to digest a particular food ingredient. A very common example is that of lactose intolerance where the dog finds it difficult to digest lactose. If your dog is suffering from food allergies, the answer to that is not an all-natural or organic food. What your pooch needs is something called an elimination diet. And that’s what an ideal hypoallergenic dog food should be. Hypoallergenic dog food should be an elimination diet or it should be food that is composed of hydrolyzed protein. Remember that we mentioned that the trigger for most food allergies that dogs come down with is protein. Also, as an elimination diet, hypoallergenic dog food must not contain any of the ingredients contained in your dog’s former food. 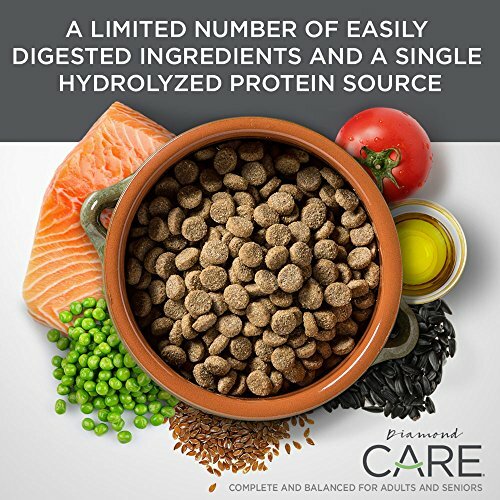 Hydrolyzed Protein Diet: Since proteins are one of the allergy triggers in dogs, a possible way to combat the allergies could be to introduce the dog to a hydrolyzed protein diet. Hydrolyzed proteins refer to complex proteins which have undergone reduction into smaller substances called polypeptides. This process is referred to as hydrolysis. The big idea is that broken down protein should prevent an allergic response unlike whole proteins because of their size. This method is used both for dogs who have, at one time or another, been exposed to the protein and those who haven’t but have shown allergic reactions to proteins before. 2. Novel Protein Diet: As the name suggests, the common culprits in food allergies in dogs are replaced by less common protein sources. For instance, you could discontinue feeding your dog with chicken, or beef which have been known to cause allergic reactions. And instead, you could try less common options like kangaroo or venison. Here’s the rule though, your dog must never have been exposed to the novel protein before. 3. Dog Foods Made with Limited Ingredients: Here, manufacturers try to limit the number of ingredients in a particular food to improve digestibility. You’d find that a lot of common ingredients which dogs have been known to react to are eliminated from such foods. This helps to reduce any chance of an adverse reaction. Most times, such diets avoid including protein and carb sources. So, ultimately, ingredients like poultry, beef, dairy, wheat, and barley exit the menu. 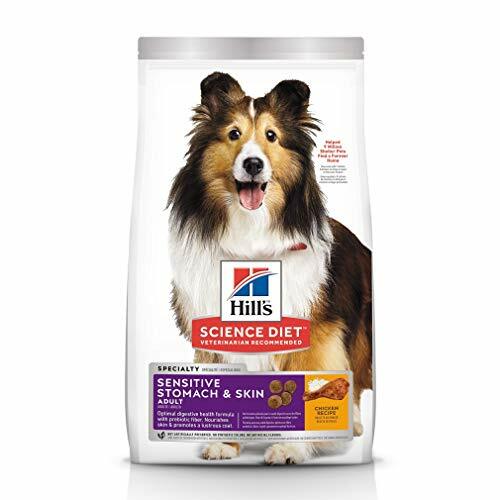 Since it’s been proven from research that most dogs react to a couple of ingredients at a time the limited ingredient diet is a very relevant idea. Usually, if the allergic reaction persists, a limited ingredient diet makes it easier to point out the offending ingredient in the diet. If you’re worried about how your pup will get nourished on a limited ingredient diet, then relax. 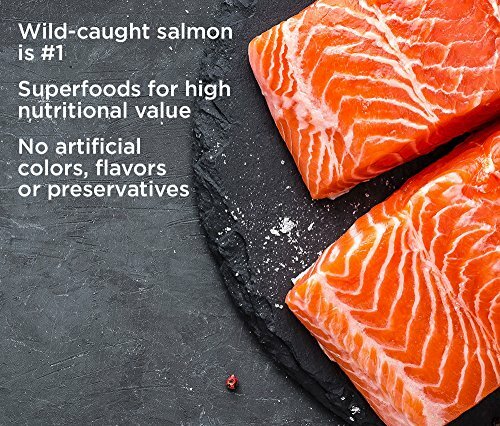 These diets often come with enough nutrients to keep your pup well nourished. Settling on the best dog chow for your pooch with an allergy can be a very difficult chore. We know how the market is filled with different products from different brands with different promises. But here’s a sure way to pick out the best hypoallergenic dog food from a myriad of dog food clones. Look Out for the Protein Source: We already explained how protein is the main trigger of dietary allergies in dogs. So, you need to check out for the protein source in any product you settle for. Ensure that, at least, the first five ingredients consist of novel proteins (we’ve explained what these are before). Also, you should ensure that these ingredients are not common to regular dog foods. Understandably, some will still contain some known allergens like chicken or beef. But this is for reasons of cost. This is a major reason you must undertake the venture of seeking a hypoallergenic dog food with your vet. 2. Look for Something with Limited Ingredients: Make sure that the food you settle for comes with limited ingredients (this we have also explained before). At this point, you do not need something with a very lengthy ingredient list. We’ve also explained the reason this is important, so we will just skip that. 3. Look out for other Nutrients: If you improve the nutrition of your dog, then it could help to manage cases of food allergies. If you recall, we mentioned that the stomach is the largest of the immunological organs. Now, what do you think would happen if you can improve on its health? Of course, it would keep the stomach from going willy-nilly at the slightest provocation. So, you might want to ensure that your pooch is kept well nourished with minerals like copper, iron, zinc, and selenium. These minerals help to strengthen the immune system of dogs. Vitamins like A, B6, C, and E are also great with the immune system too. They help to regulate the responses of the immune system. So, basically, they help keep the immune system in check. So, let’s wrap this up real quick by recalling all that we’ve learnt. Food allergies in dogs are not very common, occurring at a 10% frequency. Protein is the main trigger in dog food allergies. There are specific ways to feed a dog with food allergies but you must consult your vet first before diagnosing or treating any food allergy. According to Dr. Sarah Wynn, a dog that has, previously, not shown any reaction to a particular food before can suddenly begin to react to it. Whatever the case though, make sure that the first person you call when you observe any funny business is your vet. Dog Sweaters – Does Your Dog Really Need Them? Dog Shock Collars: Are They A Good Idea? High Fiber Dog Food: Is It Any Good? 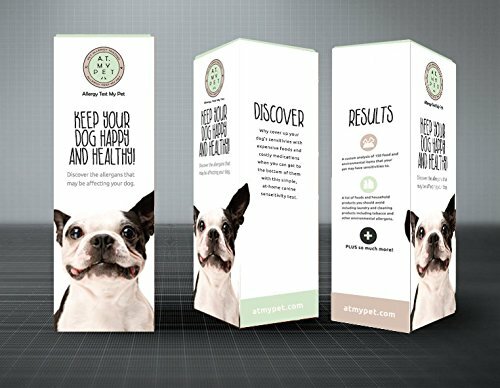 Holistic Dog Foods: Why Or Why Not? Grain Free Dog Food: Good Idea Or Nah? Dog Clothes And Accessories- Your Dog Can Be A Fashionista Too! Premium Dog Food: Why Should We Bother With Them? © Copyright 2019 Dog Products Guide.